Iodine Benefits- Should You Supplement? We talk a lot about how to promote healthy hormone function, but did you know that iodine is needed for just that reason? Below, contributor Danielle reveals the iodine benefits you need to know about. Iodine is an essential trace element that is stored in nearly every organ in the body, but over 60% of the body’s supply is found in the thyroid. Iodine is also important for brain function, and muscle and skin health. Though iodine is essential to a wide number of bodily functions, the most important function of iodine occurs in the thyroid. Without iodine, no thyroid hormones would be synthesized. These hormones control metabolism, remove toxins, and utilize other minerals, such as calcium. Unfortunately, bromine, found in processed bread products, and fluoride, found in toothpaste and added to the water supply, deplete iodine in the body. With the majority of Americans brushing with fluoride, then rinsing it down with more fluoride, and consuming high amounts of processed bread products, we find ourselves in an even deeper deficiency. But these amounts may not be enough for optimal thyroid function, thyroid healing, and women who are pregnant. What are the types of iodine? There are a number of forms of iodine supplements – including nascent, potassium iodide, and lugols. Nascent iodine has an incomplete number of electrons, giving it an electromagnetic charge and reported better absorption in the body when consumed orally. The body recognizes nascent iodine as what it uses to make the T3 and T4 hormones (learn more about those here). Most prefer this form of iodine supplementation. Get it here. Potassium iodide is the most common form of iodine, and most inexpensive to produce. Only about 20% of potassium iodide is absorbed by the digestive tract, and thus not the best choice for iodine supplementation. Get it here. Iodine supplements may be taken orally or topically. What foods are rich in iodine? Iodine-rich soil is found by the coasts, so one is much more likely to experience iodine deficiency in the middle regions of the country. However, the soil has been depleted of every mineral in recent decades, leading to iodine deficiency in soils everywhere. This adds up to simply not enough iodine in our diet, even if we eat a whole foods diet. 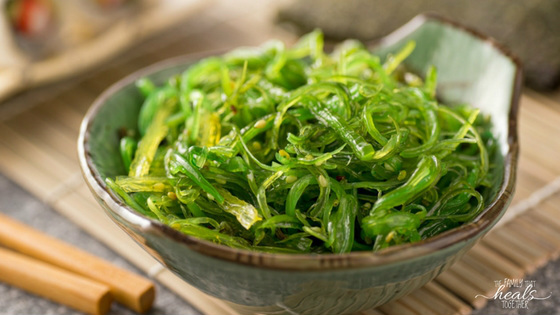 Boosting your intake of iodine-rich foods is a great start, but also consider adding with a quality iodine supplement as well. Why should I take iodine? Everyone should include iodine-rich whole foods in their diet. Those experiencing infertility, constipation, mood disorders, and those with mental or physical impairments or planning to get pregnant should consider consistent iodine supplementation. It’s extremely important for those planning to conceive to have optimum iodine levels. Low maternal iodine has been linked to autism (source), physical and mental growth issues, mental retardation, and cretinism. Continue taking iodine through breastfeeding to ensure your baby has an adequate supply of iodine, too. Who is iodine supplementation NOT recommended for? 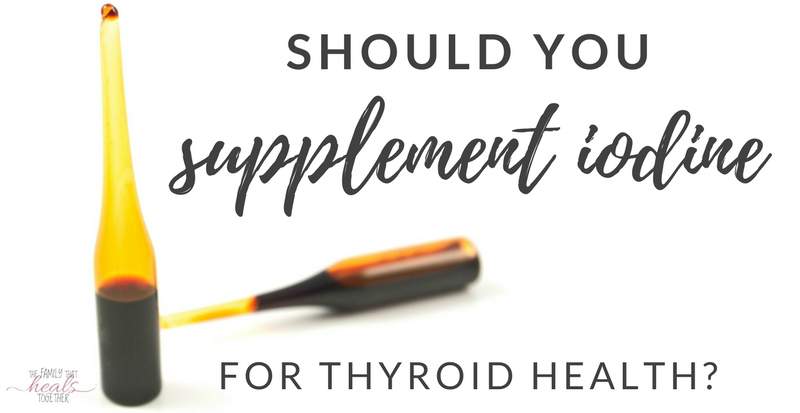 Although iodine is imperative for thyroid health and can be a cure for those with hypothyroidism and even hyperthyroidism, it is not recommended for those with the autoimmune thyroid disease Hashimoto’s. “Because increased iodine intake, especially in supplement form, can increase the autoimmune attack on the thyroid. Iodine reduces the activity of an enzyme called thyroid peroxidase (TPO). TPO is required for proper thyroid hormone production. Those taking high blood pressure medications, diuretics, or anti-thyroid medications should not supplement iodine, or should first consult their physician to be sure iodine supplementation would not interfere with their medication. How much iodine does a person need? Though the USDA has set the recommended daily amount (150 mcg for men and women, 220 mcg for pregnant women, and 290 mcg for nursing women), many holistic doctors have purported that it’s not nearly enough for healthy function. According to Dr. Flechas M.D. M.P.H., who has overseen a number of pregnancies and done extensive study on iodine in the body, a 110-pound woman’s breasts need 5 mg of iodine a day, the thyroid needs 6 mg of iodine a day, and other lymphatic organs need another 2 mg a day. (source) To his credit, it’s been found that the body can hold 1,500 mg of iodine, with 50 mg being held in the thyroid alone. (source) Note that these are milligrams, not micrograms. Iodized salt has been a thing in the United States since U.S. manufacturers started adding iodine to table salt in the 1920s to prevent iodine deficiency. 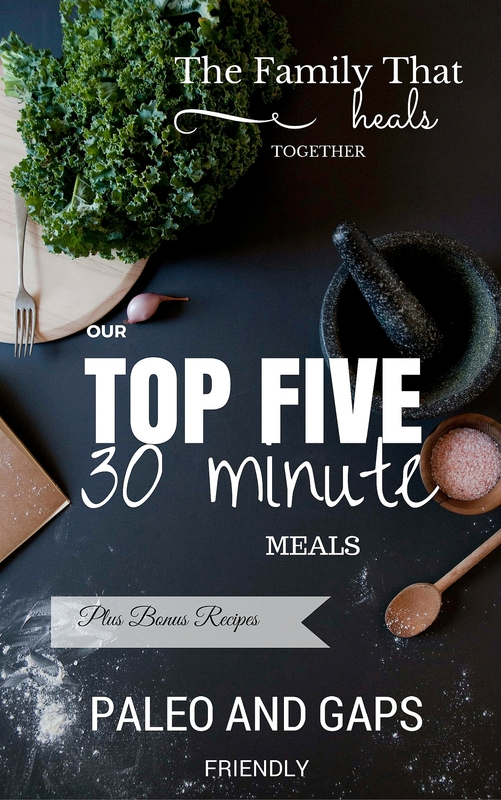 On average, 45 mcg of iodine can be found in one eighth teaspoon of table salt. Today, U.S. manufacturers are supposed to put non-iodized salt into their products to prevent too high intake of iodine. What are the symptoms of too much iodine? Consuming too much iodine is hazardous. Monitor your symptoms when supplementing iodine, as taking too much iodine can result in the conditions below. Remember that those taking certain prescriptions should not supplement iodine (see above). Iodine is an essential mineral that should be a staple in your whole foods diet. It is especially important for those trying to conceive, as well as pregnant and nursing moms to have an adequate intake of iodine in their diet or supplement regimen. Those suffering from metabolism issues and hormonal imbalance, including thyroid diseases, could also find relief through supplementing iodine, although it should be done with caution. I liked that you mentioned how iodine supplementation can be a determinant for those with Hashimoto’s disease or other autoimmune thyroid related disorders. A lot of the thyroid supplements we see on the market today contain iodine, which is not necessarily bad… but it can be. As you wrote, iodine is really important in synthesizing thyroid hormones. But for those with Hashimoto’s, it can cause flare up’s and that’ll bring a lot of unwanted symptoms! Hopefully more patients with Hashimoto’s disease will start observing whether iodine adversely effects them, and if so, perhaps they will avoid consuming large amounts.